I was asked to make a purple version of a past card i did. I just wanted to show you how it turned out. The colours are so beautiful and complement each other so well. The lady was really happy with the way it turned out. 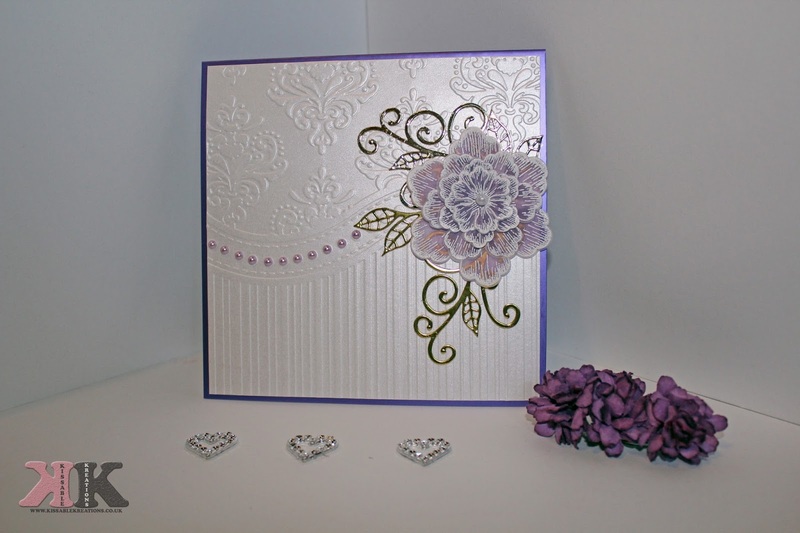 *Next i took a piece of pearlescent card and embossed it using the All-Occasions 'That folder' embossing folder. 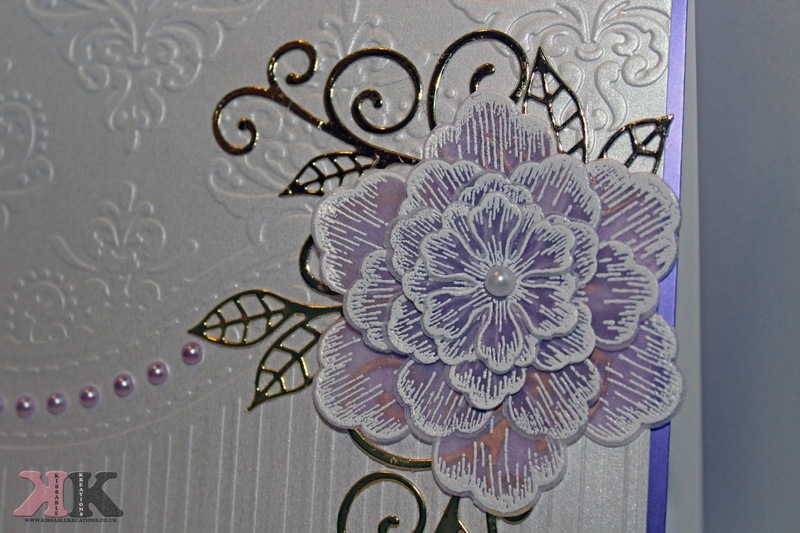 *Next i took some purple pearls and added them to the card on the emboss spots in the centre. *Then i took a few gold die cuts which i already had from a friend and added them to the card. *I added the beautiful vellum flower over the top. Another simple, Easy but very beautiful card! I really love this embossing folder as you can tell. I am always on the look out for inspiration with it. Ill be soon trying my hand at making a 'Masculine' card using it. I do love this card such a lovely color and design. Wow! Such an intricate design! My favourite colour has to be light pink though. This is really pretty! I love the pearl details on it. beautiful, jealous of your craft skills! I'm so messy, my finished product would never look as lovely as this. What a beautiful card.I'm in love with the flower decoration. I've never heard of a passed card before what does it celebrate? This is such a gorgeous looking card, so pretty!